The Houser Anti Vibe Steering Stem is one of the strongest stems on the market today. 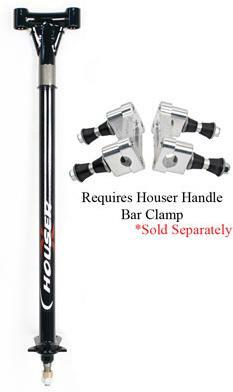 Houser clamps sold separately. Installed this paired with the Houser anti-vibe clamps and I love it. Very quality product. Also best price from Ken! Paired with the precision clamps this stem makes it feel like a whole new beast. Love it. +2 stem made it way more comfortable to stand and ride. I would highly recomend this to anyone.